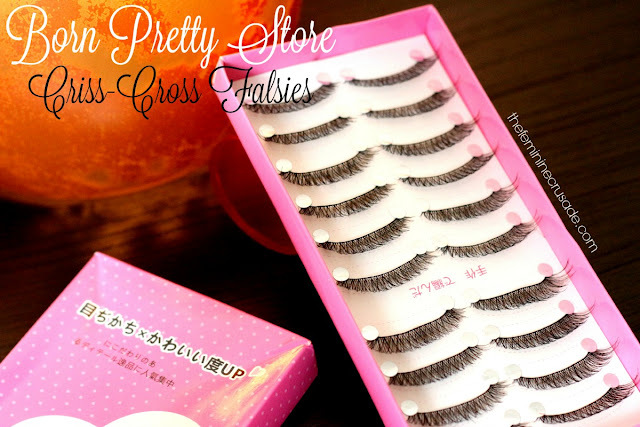 Today, I have a mini review on a box of false eyelashes from Born Pretty Store that just costs $7.99. The pack comes with 10 pairs of criss-cross lashes, quite a deal I would say. Naturally, one wouldn't expect synthetic lashes to look natural. So I was definitely surprised to find these falsies very soft to the touch and not at all plastic-y. They have a very thin band making them blend easily with the real lashes. I found them to be a good mix of dramatic and natural. They are not overly-thick yet long enough to give a li'l oomph to the eyes. The only thing I find a tad bit difficult is working with them. They don't have that curve which false eyelashes come with, so maneuvering them on the eyes is a bit of a task. Apart from that, they are definitely a steal! 8 bucks for 10 pairs of beautiful falsies? Who wouldn't want that?! 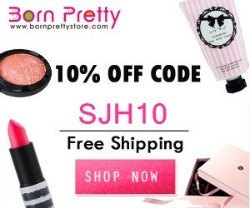 They are currently on sale for $6.39 and you can get an additional 10% off with the code SJH10. Grab them HERE!